A graveside service for Debra Jane Bowers Truesdale, 64, of Westville, SC, will be held at 2:00 p.m., Thursday, January 17, 2019, in Refuge Baptist Church Cemetery, Kershaw. The Revs. Evan Smith and Tommy Bowers will officiate. Ms. Truesdale passed away, Monday, January 14, at her home. Born in Westville, she was a daughter of the late Grover Coleman Bowers and Blanche Louise Baker Bowers. She was a former textile employee and a member of Refuge Baptist Church. She loved the time she spent with her grandson, working in her flowers and fishing. Surviving are her son, Darrell Jason (Kristina Portman) Branham; her grandson, Jacob Cole Branham; siblings, Grady (Audrey) Bowers, Travis (Linda) Bowers, Diane Bowers (George) Roberts, Voncile Bowers Sims, Berl Edward Bowers, Vivian Bowers (Fred) Huggins and Dennis Carroll (Staci) Bowers. She is also survived by her sister-in-law, June Bowers. Ms. Truesdale was preceded in death in addition to her parents by 3 brothers, Floyd Wayne Bowers, G.C. Bowers, Jr. and Roddy Lee Bowers, Sr. The family will receive friends, Thursday, January 17, prior to the graveside service beginning at 1:00 p.m. until 2:00 p.m. in the Refuge Baptist Church Family Life Center. In lieu of flowers, contributions may be made to Baker Funeral Home, 210 E. Hilton St., Kershaw, SC 29067 to assist the family with funeral expenses. 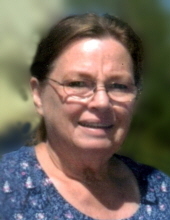 To plant a tree in memory of Debra Jane Truesdale, please visit our Tribute Store. "Email Address" would like to share the life celebration of Debra Jane Truesdale. Click on the "link" to go to share a favorite memory or leave a condolence message for the family.